How Do You Know if You are Allergic to Pollen? Spring and Fall are the prime season for hayfever. People everywhere are sneezing, sniffling and wheezing. The problem is the amount of pollen in the air. How do you know if you are allergic to pollen? First, carefully watch and chart your symptoms and check pollen counts. Try to reduce your exposure and see an allergic for skin prick or blood tests to find out for sure. Here’s how to know if you are allergic to pollen. As soon as you start to have a runny nose, watery eyes or sneezing take your temperature. If you have a temperature, you don’t have allergies. You have a cold or respiratory infection. Allergies are a false immune system response and they don’t cause a temperature. If you don’t have a temperature, note your symptoms on the calendar on your phone or use a note app. Then go to Pollen.Com or check your newspaper for the local pollen count. In the Fall, most pollen comes from ragweed plants and trees. Don’t blame those goldenrods, they are beautiful and plentiful but they aren’t a source of allergy-causing pollen. It’s the ragweeds that like to hide in the goldenrod that are the problem. If you see a pattern of symptoms on moderate pollen count days, chances are you are allergic to pollen. If you have symptoms and the pollen count shows there is no pollen in the air, you probably have allergies, but not to pollen. Do OTC remedies provide relief? If you take an over-the-counter allergy medication and get relief, you are allergic to something. If your symptoms don’t change with the pollen counts, you are probably allergic to something else. But, if your symptoms ebb and flow with pollen counts, pollen is the likely culprit. So, avoid pollen. Here’s how. You can stay inside with the windows and doors closed. But, that may not be practical. If you have outdoor activities, try to time them for low pollen count days. Wear a mask like the Q-Mask that was designed to keep pollen out. Pollen sticks to your clothes and hair. When you come in, you spread that pollen all over your home. Don’t do that. Instead, when you come inside, shower and change clothes. Wash your hair. Don’t put pollen-filled clothes in the bedroom. Keep them in the bathroom or laundry room until time to wash.
Hey, don’t forget about those pets either. They bring pollen in on their fur. Brush often and wear a mask when you brush your pet. Keep pets inside as much as possible. The only sure-fire way to know if you are allergic to pollen is to have an allergy test. The allergist can take a blood sample and test for true allergy (that is an IgE-mediated response), but these results aren’t immediate. A skin challenge test will tell you right away if you are allergic to pollen or other common triggers. If you have pollen allergies, immunotherapy may help. Talk to the allergist about sublingual drops or shots to reduce your sensitivity. It’s important to know if you are allergic to pollen so you can control your allergies. 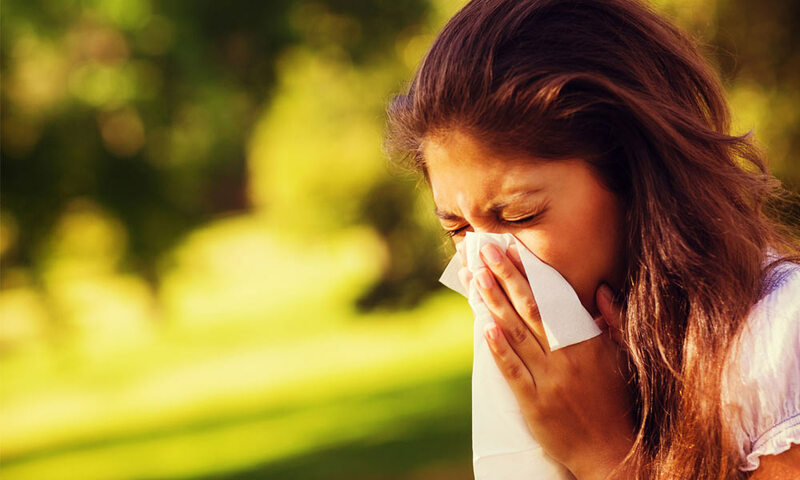 Uncontrolled allergies can lead to more serious problems such as asthma or sinus infections. It was good that I came across this article because I learned that in order to determine whether or not I am allergic to pollen, I should check the symptoms and see if they will occur to me on days when the pollen count is moderate to high. That sure sounds easy to do considering that the area where I live has a lot of pollinating plants. The only problem is that I want to know if I am allergic now. I might suggest this someone else, but as for me, I will consult a professional. Thank you. It sure was nice how you said that if the person starts seeing a few symptoms of allergies appearing during the days wherein pollen count is moderate to high, then there is a chance that they have allergies. If that is the case, then I better take my sister to the professional for a treatment plan or option. She usually sneezes and wheezes during days wherein the pollen count in our community is high. I’m glad I came across this article. Thanks! I appreciate you sharing the idea that a person will not have a temperature along the sneezing, watery eyes, and runny nose if they have an allergy. If so, then my brother really is having an allergic reaction to pollen. I assumed that he is just having a fever, but his body temperature is fine. At least, now I know where I went wrong. It might be best if I take him to the professional for a checkup. Previous PostPrevious What is a Dust Allergy? Next PostNext Can Dust Mites Bite You?